Mr. Edward Nartey, a final year student of the Department of Accounting, University of Ghana Business School successfully defended his PhD thesis on 14th February 2019. His presentation was centered on the topic, “Management Accounting and Supply Chain Performance of Healthcare in Ghana”. 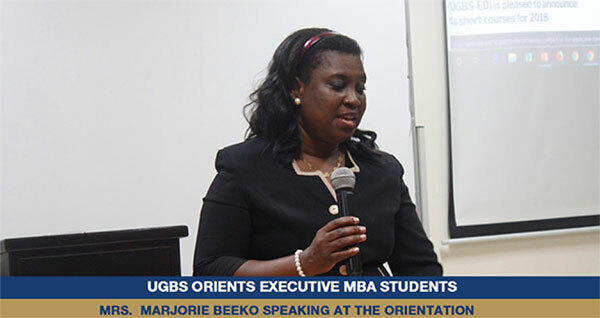 The University of Ghana Business School organized an orientation for new students of the Executive Master of Business Administration (EMBA) programme on Friday, 1st March 2019 at the UGBS Graduate Building. 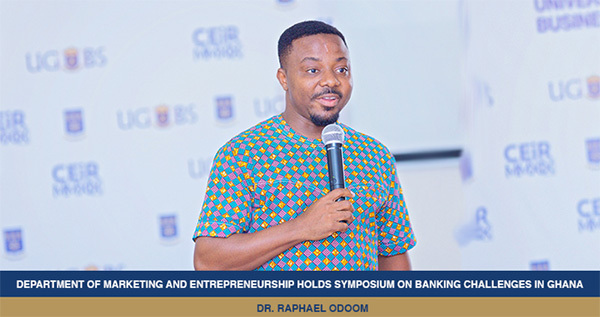 As part of its Corporate Executive in Residence (CEiR) Schedule, the Department of Marketing and Entrepreneurship, University of Ghana Business School, held a symposium on the topic, “Marketing Perspectives on the 2017/2018 Banking Challenges” at the School’s Graduate building, on the 8th of February 2019. The Department of Public Administration and Health Services Management at the University of Ghana Business School, held oral examinations for two PhD candidates, Mr. Emmanuel Kofi Ayisi and Mr. Emmanuel Owiredu Akonnor on Tuesday, 29th January, 2019 at the School of Graduate Studies Conference hall.